Elizabeth Poett was born and raised on Rancho San Julian, her family’s 14,000-acre cattle ranch on California’s Central Coast. She grew up climbing trees in a tutu and cowboy boots, gathering cows, and helping her mother cook and host events. In 2007, after college in Ohio and a stint in Greenwich Village, Elizabeth Poett moved back to the ranch and started Rancho San Julian Beef, selling her family’s ranch-raised beef directly to chefs and consumers. Elizabeth spends her days looking after cattle and the sheep, chickens, and turkeys that she raises seasonally, as well as cooking (and canning and pickling) with all of the delicious and varied ingredients the ranch and California’s Central Coast, have to offer. Check out the meal plan for The Ranch Table Box here. The ranch, graced by California live oak, also grows a variety of vegetables, grapes, and lavender. Its tradition of environmental stewardship extends to solar power with a watering system designed to protect its many creeks and arroyos. 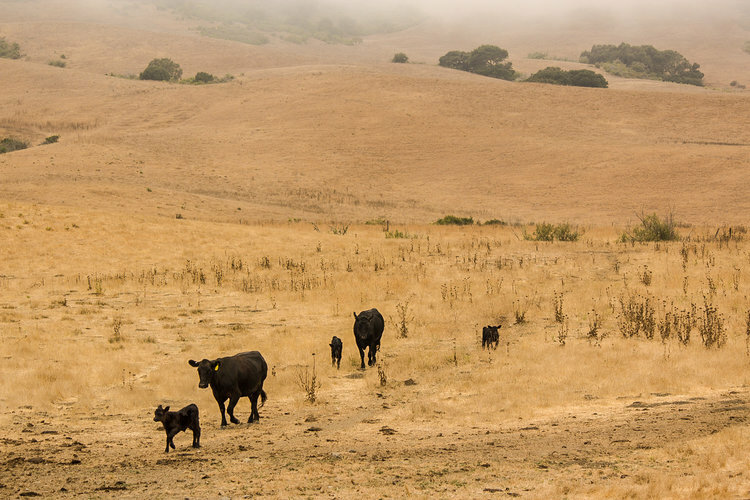 Faced with the severe challenges of periodic droughts, Elizabeth Poett, who was born and raised on the ranch, has worked with her family to maintain the ranch’s sustainable farming practices by bringing on biodynamic guru Chris Thompson. The crops, cultivated with minimal water, are absolutely beautiful – a testament to the love and care that has gone into growing them. This week, we’re delighted to offer some of Elizabeth’s favorite beef dishes, along with a special honey from her bees.